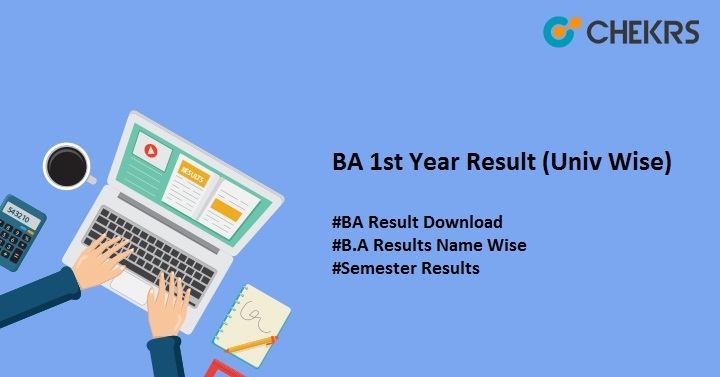 BA 1st Year Result 2019: Bachelor of Arts (BA) is a 3 year undergraduate programmes after passing 10+2/ Intermediate. Universities/Colleges providing admission in BA course invite application form for 12th passed students. Different Universities/Colleges have different admission procedure like BHU conducts entrance test for BA course but DU release cut off list on the basis of 12th results. Latest Update: Various Universities Released BA 1st Result!! You can Get All, University-wise in Table Below. Every year thousands of students take admission in BA in various colleges across India. Universities/Colleges conduct exam for them on yearly basis or semester-wise. As we already mentioned above that every University/ College do not follow the same procedure for conducting BA Exam. Some of the Universities conduct the exam semester wise whereas some conduct on a yearly basis. Most Universities conduct exams in March / April and probably declare results after one or two months. Candidates can check the BA Exam Result and download it from here. Visit to the official website of your Universities. Click on the link given there to download the BA Exam Result. Select semester if your Universities conduct exam on semester basis. Otherwise result will be published on yearly basis. Not every university conduct exam on the yearly basis. Most Universities organize exam after each 6 month. We know that BA is a 3 year full/ part-time course that has 6 semesters. Universities conduct exam for each semester and announce the result according to semester like BA 1st/BA 2nd semester result etc. BA 1st/3rd/5th semester are called as BA Odd Semester and BA 2nd/4th/6th are even semester. Candidate appeared for semester exam can check their BA Odd/Even Semester Result from here. No need to go anywhere to access the BA 1st Year Result. Here we are providing the list of Universities/Colleges with their exam date and result declaration date. You can download BA Part 1 Exam Results to know the marks in each subject, grades & qualifying status etc. Hello Md Muntazir Alam! BA 2nd 2018 Result can be Updated Soon. Most probably in the next 2 weeks, We will update it Here: MANNU Result. Thank You and Keep Visiting.